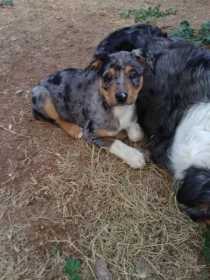 Missing puppy polka Dot is a 9 week old female Aussie mix. She is blue with black spots. She has white sox on her front feet, and a stub tail. White Tank's, Orangewood area. Fillmore & 191st Ave.